David Cronenberg makes movies that roil the gut as much as they pique the mind, and, a half century into his career, he continues to flex a distinctive, alienating vision that continues to intrigue (see: 2014's very, very strange Maps To The Stars). One wonders, however, how his career may have unspooled had he heeded the call of mainstream studios early in his career. Because he definitely had the chance. In an interview with Entertainment Weekly pegged to Beyond Fest’s current Cronenberg retrospective, the filmmaker reflects on what’s likely the biggest gig he ever turned down: The Return Of The Jedi. When Lucasfilm reached out to him in the early ‘80s, Cronenberg had already built a cult following with films like 1975's Shivers, 1977's Rabid, and, especially, 1979's transcendent The Brood. 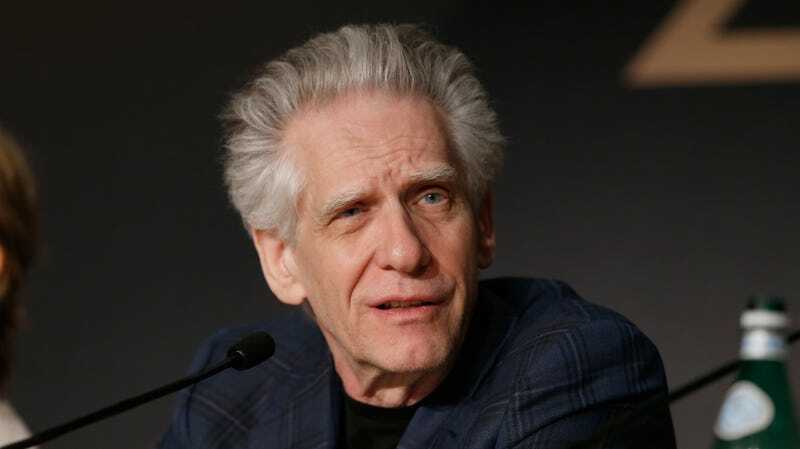 It’s not hard to imagine why Lucasfilm would’ve considered Cronenberg; Jedi, after all, is brimming with grotesqueries, from the gooey rancor to Jabba the Hut himself, whose viscous discharges would likely have been heavily on display under Cronenberg’s eye. And what are the Ewoks if not lawful good versions of The Brood’s chaotic mutant children? Return Of The Jedi, directed by Richard Marquand, opened in 1983, the same year as the movies many consider to be two of Cronenberg’s masterpieces: Videodrome and The Dead Zone.